General Internal Medicine Journal Club occurs on the first Tuesday of each academic block - September through June. One faculty member and one GIM PGY4/5 present one article each from the recent literature. The two articles should be related to the same general theme to enhance discussion around the topic. The selected articles may be accompanied by clinical cases to illustrate the potential practice implications of the articles. 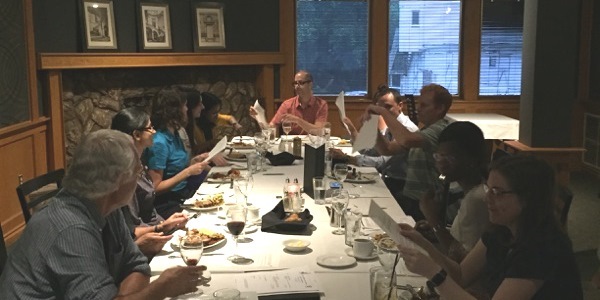 The Journal Clubs take place at local restaurants and are funded by the division. Articles will be posted for viewing after each Journal Club event.